Today, my heart full with feeling for those caught up in yesterday's bombings in Boston, and after a session with my spiritual director, I walked down to the cliffs to see the ocean. 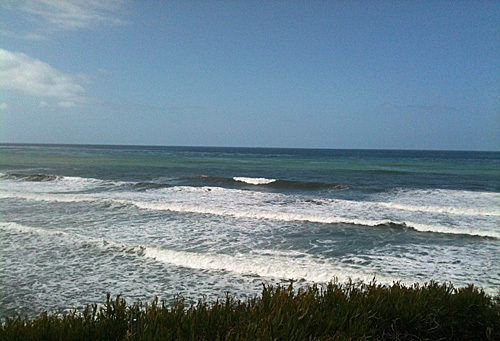 Mainly, to take a breath (and I love the sea air and the brisk breeze promised that) and pause for a brief moment before continuing my day. 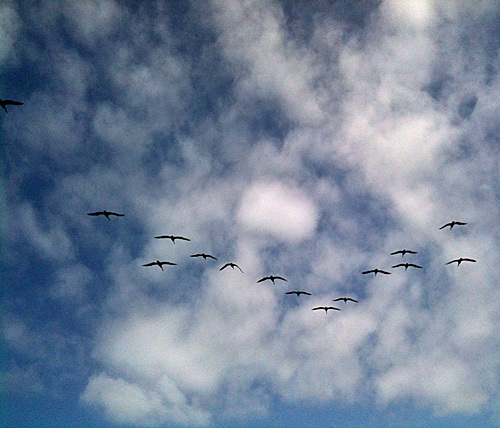 As I walked, I saw a small group of pelicans fly north, over the houses, it looked like, instead of over the water. I had missed seeing them on my previous visits so once I got to the cliffs, I looked up and down the coast for more. There were more. It was the perfect gift and I quite greedily enjoyed it. I snapped a few photos but then instead of trying to get more pictures, I drank in the moment. 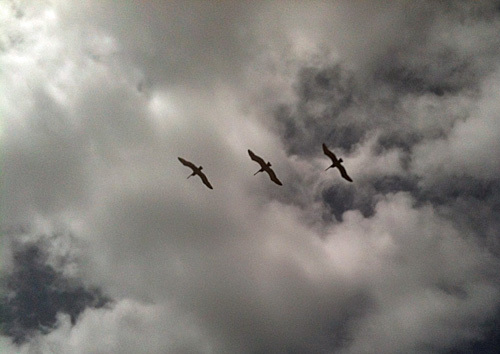 I stood there, watching them approach, fly right over the top of me in their weaving, soaring way, and onward. I had this crazy grin as I walked away and into the rest of my day. A sole wing flap echoes. and Laura's Playdates with God. Love these pictures! You're so lucky to live by the ocean. I think so many of us were seeking beauty this week, a week with so much ugly. Thanks for sharing the beauty, Leanne. 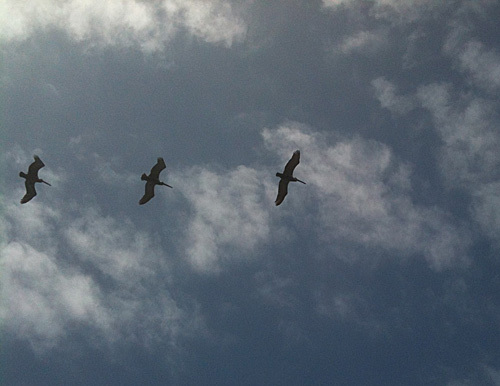 I have never seen pelicans before. What a gift God gave you at the perfect time! That poem is very striking, the parentheses image especially. Thank you for sharing this breath of beauty from your neck of the woods. May the grace of our Lord Jesus Christ be with you this week. This is so lovely, Leanne. Yes, these moments must be savored. A reminder that we are not alone--we are held. Thanks for linking up with Playdates with God!